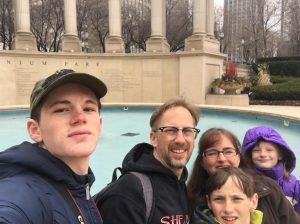 In this fourth episode, Wayne interviews Olin Richey on ministry, family, time management, and superpowers (if he could have some, what would they be…?). Olin Richey is pastor at Foothill Bible Church and a regular volunteer storyteller at LifeHouse Theater. 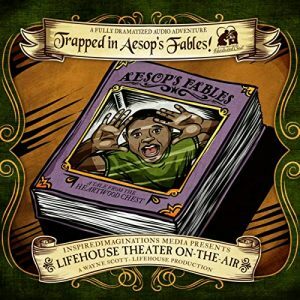 This episode is sponsored by LifeHouse Theater On-the-Air, featuring “Trapped in Aesop’s Fables.” You can find all of our offerings at TheaterOnTheAir.com, Amazon, and Itunes. Listen to a preview on YouTube! If you like “The Dramatic Difference” give us a rating on iTunes Podcasts or wherever you get your podcasts. If you love it and want more, share with a friend. If you have an idea for a topic or would like to submit a question to be answered, email the show’s producer at dane@lifehousetheater.com. My daughter would like to audition for “Mary Poppins”, but before doing so it would be helpful for us to know what the rehearsal schedule would look like in order to make the commitment. Who is able to provide me with that information? Generally, rehearsals are Tuesday – Thursday from 6:30 – 10pm until the final two weeks, then the go Monday – Friday from 6pm – 10pm. Specific dates are given out at the auditions and a more detailed rehearsal schedule is given out at orientation to the cast. I really enjoyed listening to the interview with Olin! It was like listening to voices from my past. Olin being my music pastor and Wayne, I knew you at Trinity EVFree way back before Life House. Wonderful to hear you both today. Blessing to both of you!!! !